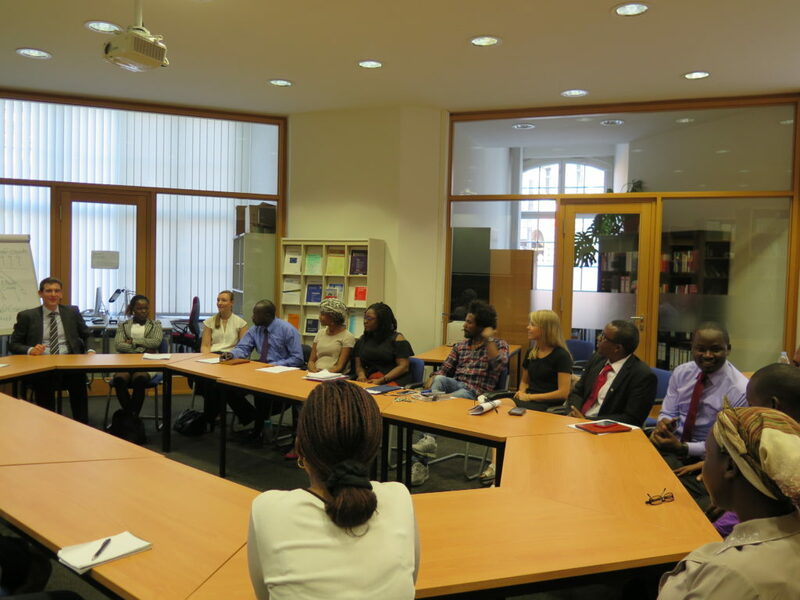 On Monday, 12 September 2016, members of the Tanzanian-German Centre for Eastern African Legal Studies visited the South African-German Centre for Transnational Criminal Justice at the Faculty of Law Humboldt-Universität zu Berlin. 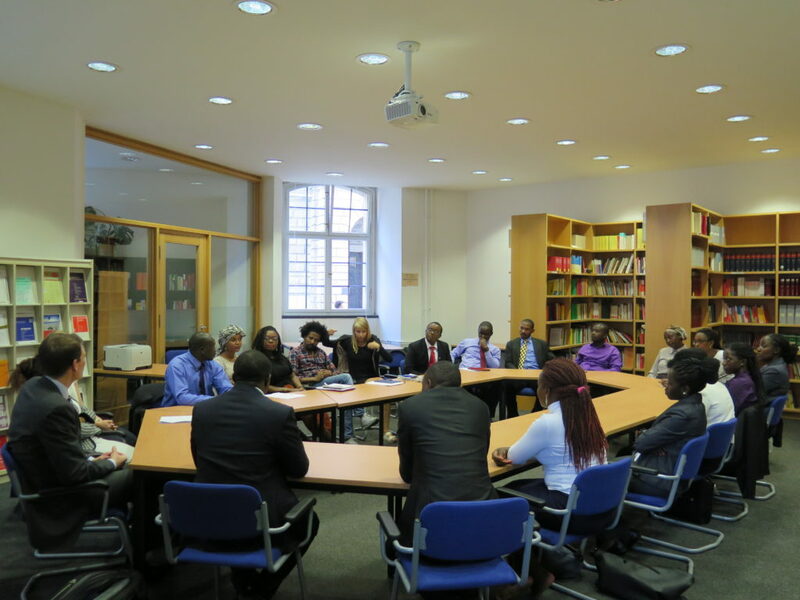 With a delegation of 19 participants comprising the project manager, project assistant, student assistant, a PhD candidate and fifteen LLM students, the group was received by the course coordinator and three PhD candidates of the South African-German Centre. The deliberations started with a short introduction of the participants and a general overview of their research projects. 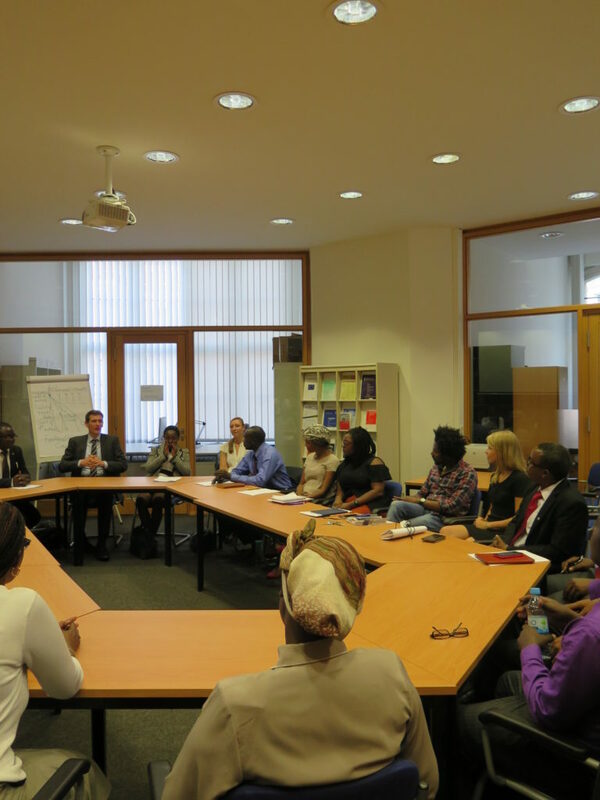 The LLM students of the Tanzanian-German Centre presented their research, due to the fact that they were at the final stages, an analysis of their individual thesis and a summary of their findings was communicated to the group. This brought up a variety of interesting issues in the various fields of their research including, amongst others, international criminal law, human rights and good governance, economic aspects of regional integration and refugee law in the East African context. 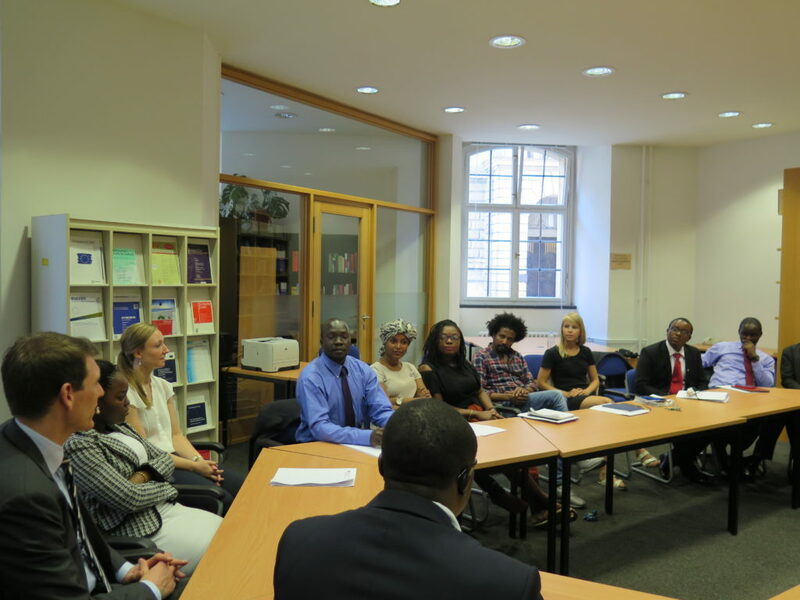 Additionally, the doctoral candidates of the South African-German Centre also had the opportunity to provide an overview of their research in the area of international criminal law and transitional justice, the progress of their research and the outlook for its conclusion. Each doctoral candidate presented an analysis of selected important issues of their research dealing with the relation of the International Criminal Court and Palestine, the role of transnational terrorism in international criminal law and an evaluation of the Red Terror Trials in Ethiopia in the context of the prosecution of politicide. Consequently, this led to a period of intense question and answer, particularly on some of the more controversial issues in their research areas and some of the issues raised in the presentations. The official discussions ended on a very high note and many of the participants continued private discussions on some of the contentious issues after the deliberations were officially closed. Congratulations to University of Oldenburg and Nelson Mandela African Institute for Science and Technology! Which where the main common themes which arose?? Due to the fact that the main focus of the TGCL is on Eastern African Legal issues, we were able to learn from their take on the selected legal issues that are specific to the Eastern African region but also could be general to the rest of Africa. The themes of the treatment of refugees and the linkage to terrorism in Kenya stood out for us and also overlaps with some of the research done at the South-African German Centre particularly in relation to transnational terrorsim. Additionally, the violations ongoing in South Sudan in relation to the Peace vs Justice debate also provided a common theme in the deliberations. On the whole, we were able to learn from each other and our approaches to issues that are specific to the East-African context and in some cases, general to all. Thanks! We very much appericiate this kind of networking and collaboration between the centres.